They have his full support! Larry King raved about the Roseanne reboot in an exclusive interview with Us Weekly on Tuesday, April 3. Roseanne was renewed for season 2 after the revival premiere received massive ratings on March 27, with more than 18 million viewers tuning in. According to The New York Times, President Donald Trump called the Emmy-winning actress and show creator to congratulate her on the return’s success. The hit sitcom aired for nine seasons from 1988 to 1997. 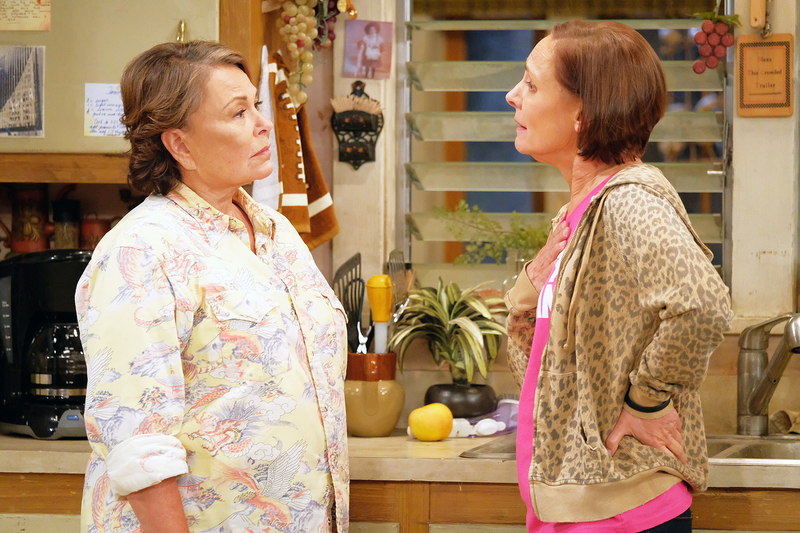 In the reboot, Roseanne Conner (Barr) and sister Jackie (Laurie Metcalf) fight over their opposing political beliefs — Roseanne is a stanch Trump supporter, while Jackie is an extreme liberal. Roseanne airs on ABC on Tuesdays at 8 p.m. ET. “Larry King’s “Larry King Now” on Ora TV recently received 2 new Daytime Emmy nominations, for the shows’ 7th nomination since launch. New episodes premiere every Monday, Wednesday & Friday on www.ora.tv/larrykingnow.